Waiting is so hard. Can we admit that we don’t do waiting very well anymore? We fill our seconds at the stop light with text messages or checking emails. We play Candy Crush or catch up on Facebook waiting in line at the grocery store or at the doctor’s office. 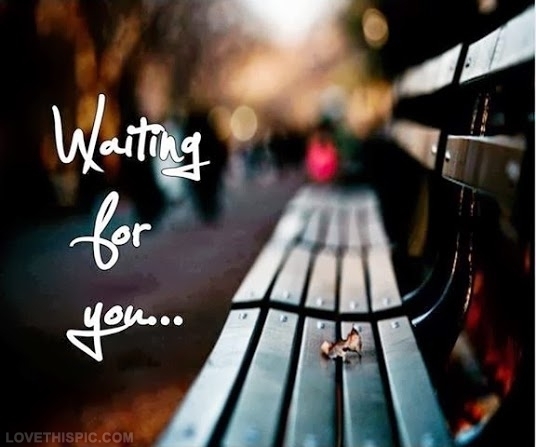 Waiting for something we don’t know when to expect – THAT is excruciating, wouldn’t you agree? Waiting for a child to be placed in your new licensed foster or adoptive home can feel unbearable. You finished your dozens of hours of training, filled your home with first aid supplies and locked up medications and toxins, signed every document the agency could hand you, and the State has issued your foster care license or adoption certification. All that work has lead to this…waiting. Waiting for that call from the licensing agency or Department of Child Safety saying a child, or children, need you. There are many things you can do while you’re waiting for that call, things that will help you be better prepared when the phone does ring. These five are a good start! Prepare your forms of communication. Do you want to create a special email address that doesn’t include your last name so you can communicate with birth parents? Pick up a pay-as-you-go cell phone that you can use just for birth parent calls. This way you can maintain your privacy until you’re ready to share more details and you don’t have to answer every unknown number on your personal phone. Will you use a notebook to write back and forth? Pick up a few notebooks and fun colored pens to have on hand. Get organized. Decide now where you’ll keep all the paperwork that comes with having a child placed in your home. What calendar will all the related appointments go on? A binder is a great way to keep everything organized and readily available. A business card sleeve at the front of the binder makes keeping track of all the new people in your life easy. Folders or page protectors can help you keep track of medical forms, educational or daycare documents, the Notice to Provider, and the Notice of Inspections noting every time your licensing agency has been in your home. Plan some family activities or trips. Life changes anytime we add a child, or another child, to our homes. Use this time to play more games with your children, sneak in a few date nights with your significant other, or escape for a fun adventure for the weekend. Collect supplies. It helps to have some diapers, clothes, age-appropriate toys, etc. already in the house before a child arrives. They often arrive empty-handed and terrified, so a trip to the store may not be manageable for a few days. Ask friends if they have a few extra diapers in varying sizes they can donate to you or if they’ll think of you next time their children have growth spurts. Browse Goodwill or a consignment store for a few inexpensive outfits. Just 1-2 in several sizes and seasons will save you from a meltdown-filled trip to the store at 2am. Talk to the important people in your life about this new journey. You’ve been so busy filling out paperwork and attending training, did you forget to let Aunt Susie, your friend Pat, or your boss know that you were getting ready to bring a child into your home? Make a few phone calls or texts and let them know how excited you are to help Arizona’s hurting children. Have a few ideas of how they can help you now or when the child arrives in case they ask! A support system will be crucial in those first few days, weeks, okay, months. Have friends on-call should you need a last minute run to the store for just the right size of clothes or a back-up babysitter. Line up a few people willing to bring meals for a few days when you are first getting settled. Whether they are 10 days old or 10 years old, the first days and weeks will be busy and full of learning a new normal, let people help you! You’ll be more prepared and closer to that call when it’s all said and done. Now, get out there and start preparing!